OAR will host the third annual “Sing Out for Second Chances” event on Sunday, October 28, 2018. “Sing Out for Second Chances” was created to raise awareness of the value of giving second chances. 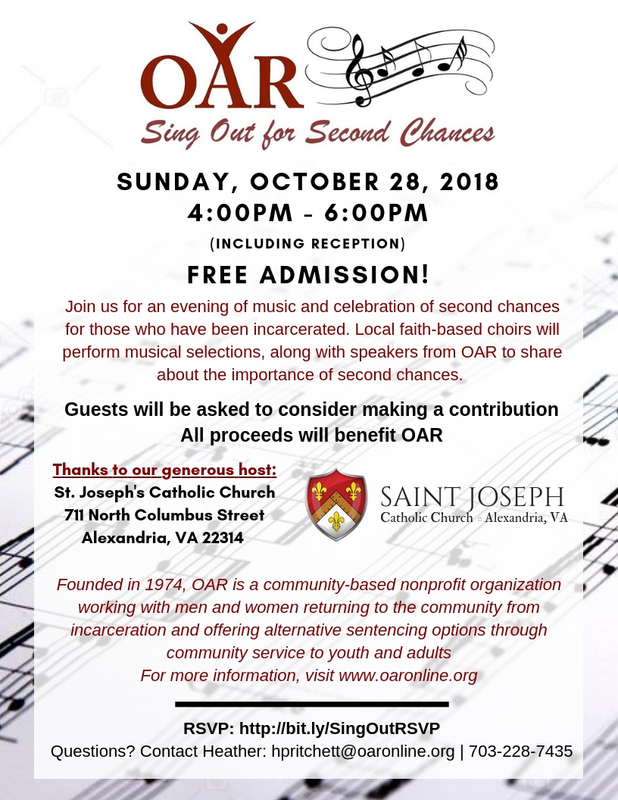 This event will feature several choirs from local faith communities who will perform musical selections and OAR will provide information about our programs and participants between performances. This event is a fundraiser for OAR and all of the proceeds will directly benefit OAR’s programs.